We have been talking about Apple’s new Photos application since it was recently released as part of a larger OS X system update. Today we want to cover how to create slideshows and other projects like calendars, cards, and books. Photos isn’t an overly complex application. 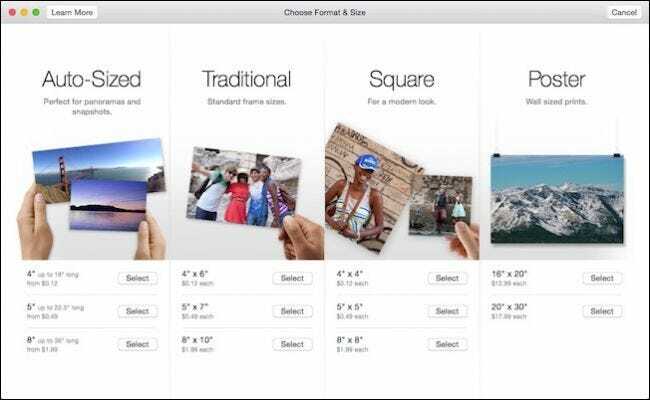 It’s intended to be OS X’s go-to native photo management tool. 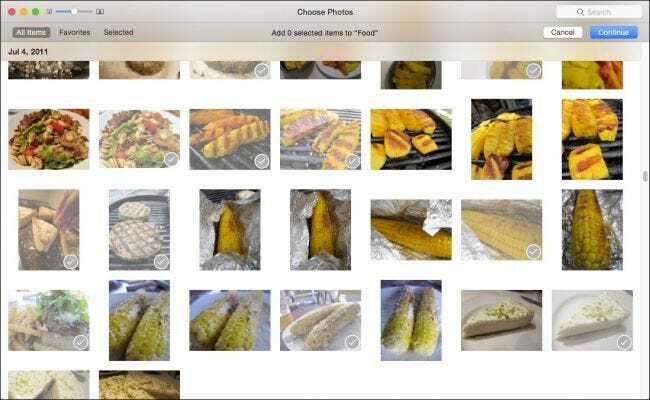 You can use it to edit photos and sync everything to iCloud so all your Apple devices – other Macs, iPhones, iPads – have the same photos on them. 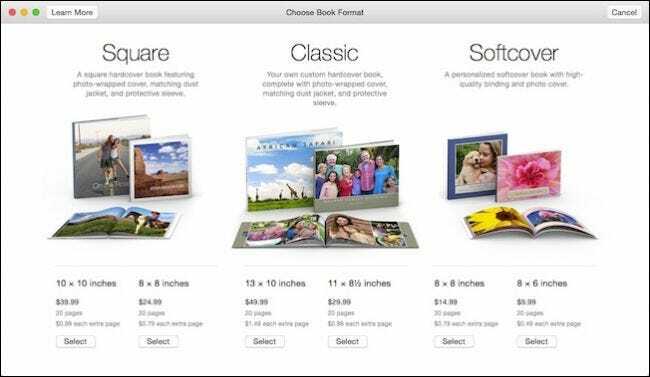 Much like iPhoto (the application it is intended to replace), Photos incorporates the ability to set up quick slideshows for easy viewing, or export photos for various projects such as calendars, books, and cards. With these projects, you can personally create professionally finished gifts for colleagues, family, and friends. 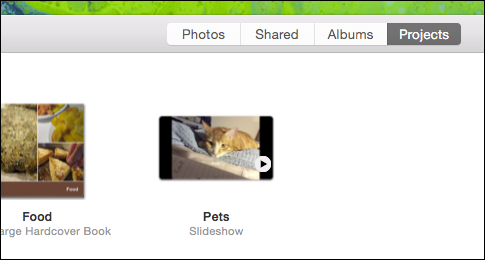 When you want to start a slideshow, you can either create one using pictures from your camera roll or from an album. Here we can create a slideshow from pictures taken on a certain day, by clicking the little play arrow in the upper-right corner. A dialog will slide out so you can choose effects and music. You can select music from anything in iTunes or using a theme’s included music. Simple enough, when you’re cool with everything you can just click “Play Slideshow” and it will begin. This type of slideshow is meant to be quick and easy, but it isn’t really a project. To create a project, you should first make an album. 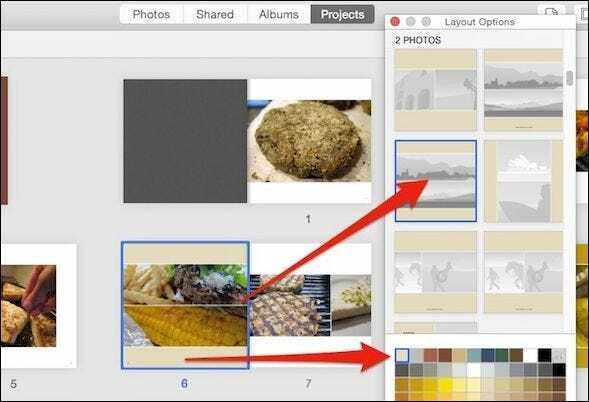 If you want to create a book or calendar or just a simple card, you’ll want to edit your photos a bit, and add them to an album so you can then just export them to your project. 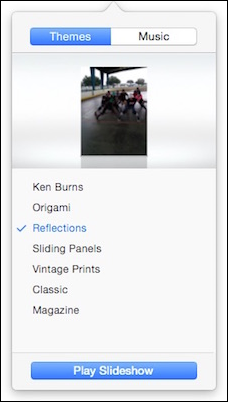 To add photos to an album, first select a photo or photos and click the “+” next to the slideshow play button. Take note of what you see next because we’ll be returning to it again. The menu that appears will have several selection relevant to this article, but we want to first organize our project before we create it. We click the “Album” selection. Now, we can go through the rest of our camera roll and add food pictures to our “Food” album. 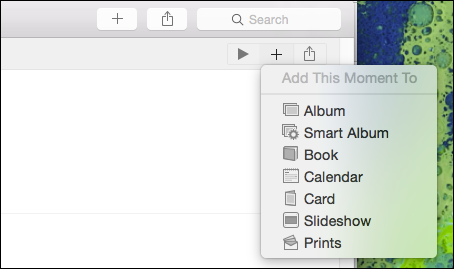 Alternately, you can open the “All Photos” album and use “Command” + select to choose the photos you want. Then again, click the “+” in the upper-right corner and add them to your album. Here then is our “Food” album in its completed form. We can go through now and select photos from it by clicking each photo we want while holding the “Command” key. Again, you can click the play button and start a slideshow like we discussed previously, or click the little “+” for a selection of projects. To illustrate how to create a quick project, lets start a book. We select “Book” from the list and we’re shown formats and pricing options. Once we’ve decided on a format, we next choose a theme, and then “Create Book” to start our project. The first thing you will notice is that the project wizard placed the photos we picked in the order we picked them. It’s easy to rearrange the pictures into the order you prefer. Just click and drag them from page to page; wherever you want them. In the top-right corner, there are four buttons (left to right) for adding/removing pages, showing the layout options, changing the project settings and, in this case, to buy the book when you’re finished creating it. Note, adding content (pages, months, etc.) will increase the price of your project. Both these figures will update to reflect your changes. The project settings button in particular might come in handy. From here you can quickly increase the page count, change the theme, format and size, and more. 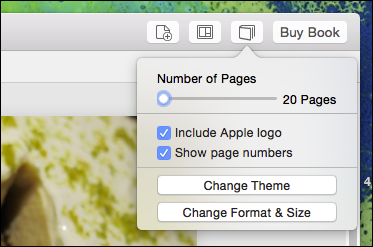 If you want to change the layout for each page, click the page, then open the layout options. You can decide how each page is laid out, as well as the background color. Select a new layout for pages with multiple photos and different background color. Double-click on a page to focus in on it, rearrange and move your photos, and edit text. Finally, note there’s a “Photos” tray that appears along the bottom of the project window. 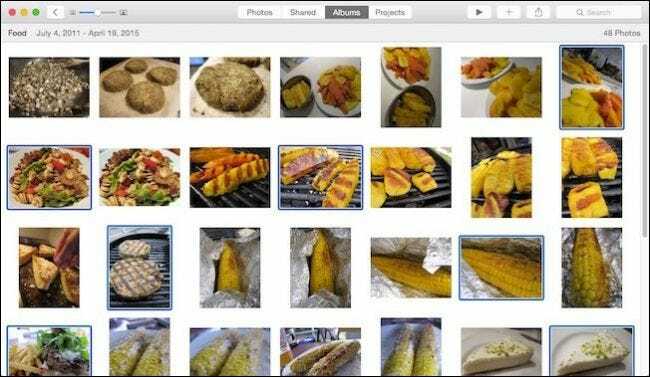 Use this to sort through placed and unused photos, auto-fill, clear placed photos, and more importantly “Add Photos” to your project. 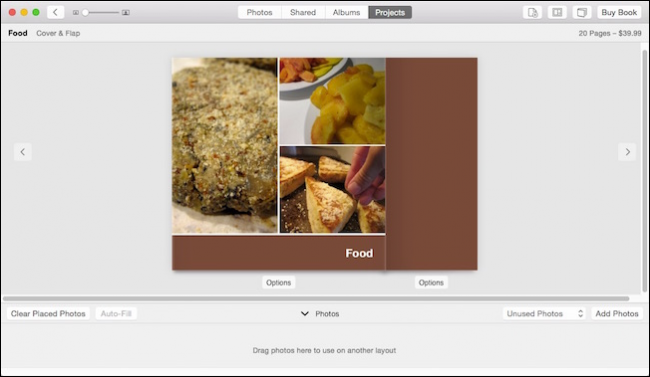 Quickly add photos to your project by selecting them and clicking “Continue”. 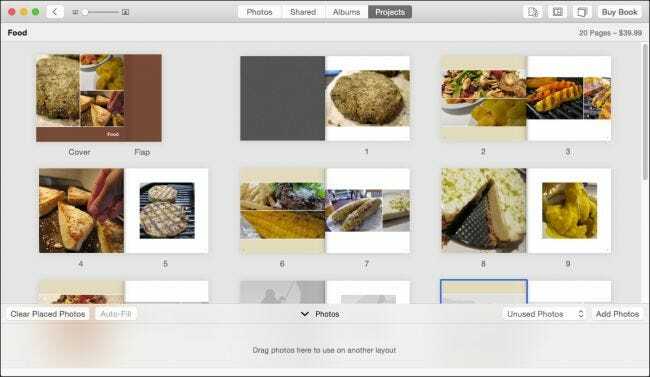 Once you add new photos to your project, they will appear in the tray as unused. You will still need to place them where you want them to appear. That’s pretty much the basics of Photos projects. There’s obviously more to it than this, every project is a little different, but should all work very similarly. From here we think you can figure things out. You’re not obligated to finish a project right away nor order it immediately after you complete it. Your projects, finished and unfinished, will now appear in the “Projects” window. Beyond books, calendars, and cards, you can also order prints of your pictures. 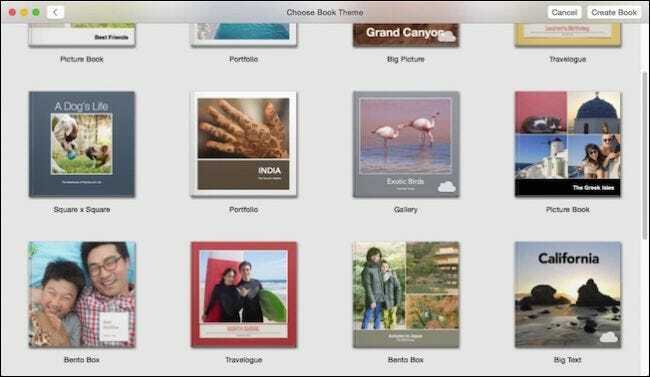 You can also create custom slideshows that you can name, save, and play for regular or special occasions. Creating a custom slideshow from the add button gives you more options than creating a quick one, such as we showed you earlier. In addition to themes and music, you can set the duration of each slide and transition effects. If you need to add more photos, click the little “+” on the far-right end of the photo tray at the bottom. Drag photos around into the order you want them. To watch your slideshow before you’re finished, click the “Preview” button. 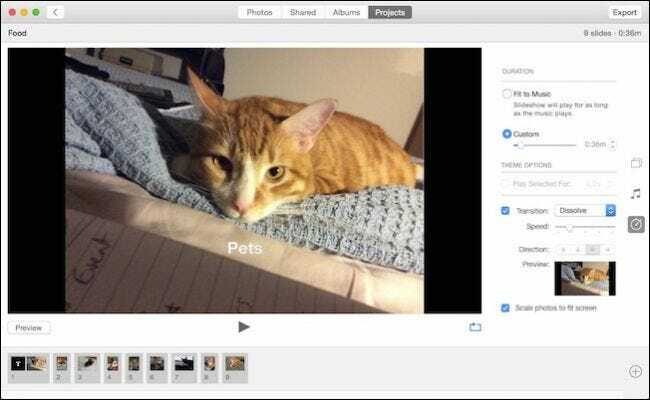 This time your slideshow is a project, so it will be available to edit in the Projects window. 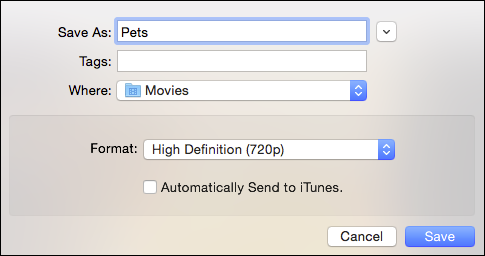 If you’d like to export it to a movie, you can then share it with friends and family. It’s apparent that Photos is really tailored to people who want to do stuff with their photos. While the ability to sync and share them across all your devices is great, it’s still nice to have something you can look at, touch, and enjoy without first having to whip out your iPhone or iPad. Best of all, projects are simple enough that you can create one in a matter of minutes, yet give you enough customization options, that your project is uniquely your own.